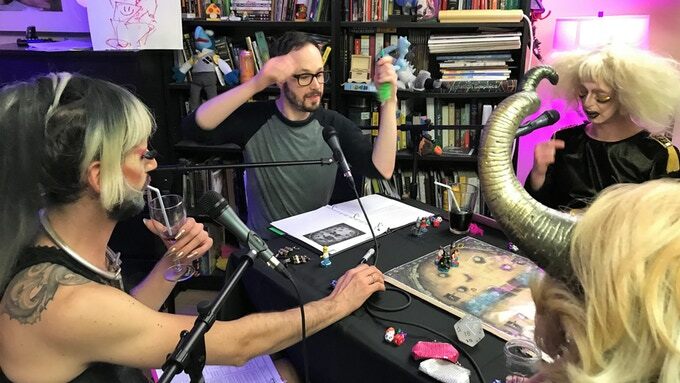 A few months ago we told you about Queens of Adventure, a podcast in which drag queens play Dungeons and Dragons. At the time, it was just a Kickstarter campaign. We’re glad to announce that not only did Queens of Adventure make its goal, Season 1 is available right now. Queens of Adventure is hosted by Hornet contributor and Dungeon Master Matt Baume, and was developed by Baume and his partner James Morris, who has worked for years developing games. 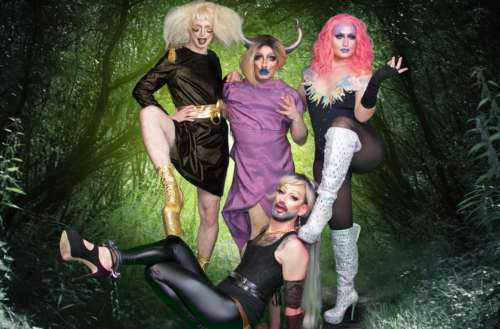 It started out as a live show in Seattle starring local queens Harlotte O’Scara, Butylene O’Kipple, Fraya Love and Arson Nicki. After selling out shows for months, Baume and company decided they should convert the show into a podcast. To pay for equipment, art, music and the queens’ time, Baume launched a Kickstarter. To say it was successful is an understatement. When it closed, the campaign had more than tripled their goal. Thanks to the Kickstarter’s stretch goals, Queens of Adventure isn’t just a podcast. The crew is also working on a fully illustrated playable adventure that will be fully compatible with the fifth edition of Dungeons and Dragons — so you can play at home with your own drag queens. Queens of Adventure Season 1 is available now on iTunes and other podcast platforms. Watch Queens of Adventure live at Seattle’s Kremwerk on June 21, and at Oasis in San Francisco on July 13 & 14.